While always a nice offering, EPs always leave something to be desired with me. In my eyes, 20 minutes is simply not enough time for any recording to make a complete musical journey from point A to point B, where you travel across an entire arc and feel a lasting impression by the final notes—where you meet someone, watch them grow over the course of the album and, finally, take some of that growth with you. Extended plays come and go. 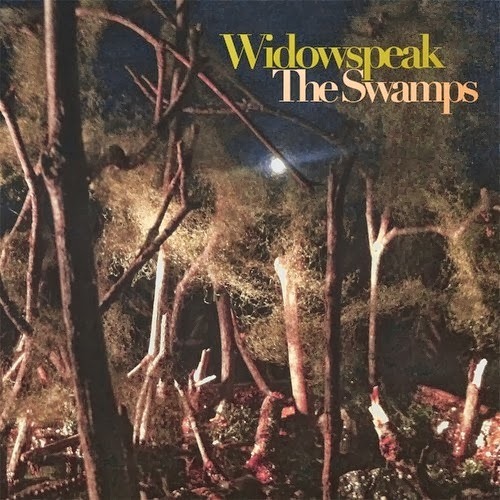 They give you a taste, but leave before your palate can truly appreciate the subtleties, which is precisely why I was skeptical of Widowspeak’s newest EP, The Swamps. January's Almanac was an impressively dense offering, with plenty to absorb and experience, so this record’s short run time seemed to have “incompleteness” written all over it. How wrong I was, though, as The Swamps pulled me in tightly during my first listen and has continued to keep me stuck in its oddly appealing mud ever since. 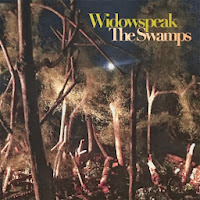 Widowspeak has a wonderfully vintage vibe to their sound, like if Thee Oh Sees was a bit eerier and more in tune with the earth, and from the first textured acoustic hit of “Theme from The Swamps,” it was immediately apparent that I was in for a great treat. The duo creates an intriguing contrast between light, floaty vocals and rowdy, loud drumming, which causes a huge outburst of energy during the bridge of the first full track, “Smoke and Mirrors,” where the vocals disappear to let the simple, but strong jam shine. “Calico” boasts a skillful arrangement by establishing a fairly straightforward song structure until the surprising third chorus, which swells and swells in volume until unexpectedly dropping to near complete silence by the conclusion. While much of the music on The Swamps remains mostly uniform from track to track, the well-utilized piano during the aftermath of “True Believer” brings some diversity to the duo’s minimalistic sound, which would become stale very quickly if these two creative masterminds weren’t behind the compositions. While the music is certainly of a high quality, one of the most impressive aspects of The Swamps is the production and how it so perfectly mirrors the EP’s title. The earthy, blues-inspired acoustic guitar tones resonate as if they have been rolled through Louisiana mud and saturated with endless humidity before ever getting recorded. The high, echoed croons of Molly Hamilton at times resemble the sounds of wildlife crying in the distance. There are no sound bites of crickets on The Swamps, but the album was produced in such a way that my ears somehow hear their chirping in the background anyways. Even the percussion emulates the setting, like in the title track where the reverb effects on the woodblock eerily simulate water dripping. These interesting choices turn The Swamps into much more of an experience than so many other short EPs. It becomes a journey, as opposed to something simply meant to give you a quick taste of Widowspeak’s talent. The duo guides you through the marshy wetlands and never looks back, with their music becoming the perfect soundtrack to your wandering. You feel the sweat and humidity radiating from Robert Earl Thomas' textured acoustic guitar. You feel Hamilton's pain as she laments the need to “Teach myself to slow down and stop running out.” And before you know it, it’s over, and you’re suddenly sitting back in your room, like none of it ever happened. Every track bleeds perfectly into the next, making The Swamps feel like one unedited 20-minute journey that you can traverse over and over again, and each time, there’s a new subtlety to discover and explore. You’re going to think about this EP. You’re going to let it sink in. And you’re going to want to hear its truth again and again.